This year marks the 40th anniversary of a broad-based revolution in Iran that eventually gave birth to the Islamic Republic. In March 1978, a revolutionary group was elected to the leadership of the Jewish communities in Iran. They began forming alliances with non-Jewish leaders of the revolutionary movement and actively taking part in operations, including publishing newspapers and pamphlets aimed to recruit more members to the movement. This facilitated the active participation of Iran's Jews, the largest group in the Middle East outside of Israel, in anti-Shah demonstrations. 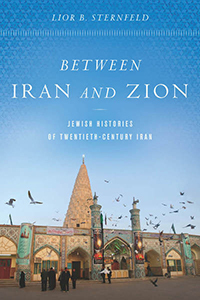 In this talk, Lior Sternfeld will analyze the social and political transformations undergone by Iranian Jews that eventually led to the role they played in one of the most important revolutions of the twentieth century. Lior Sternfeld is an Assistant Professor of History and Jewish Studies at The Pennsylvania State University, University Park. Co-sponsored with Tufts University Center for the Humanities, the Schusterman Center for Israel Studies, and the Department of Near Eastern and Judaic Studies at Brandeis.